Visitors and locals alike were unanimous in expressing their gratitude to Bert & Larraine Nievaart who closed the doors to Bert’s Cafe, in Naracoopa earlier this week. Rumour has it Bert & Larraine plan to spend time on the other side of the serving counter, possibly on a world cruise but that’s of little consolation to their loyal customers who are bereft. After eleven years people have become used to Bert and Larraines welcome, not to mention the “Best pancakes ever” and the “Great meals and service”. On the other side of the island however, King Islanders were delighted to welcome Max and Heidi back after their short break. 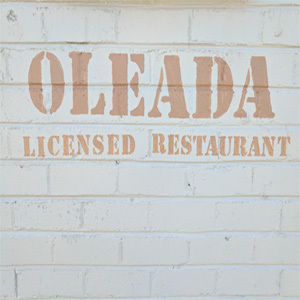 We now learn that Max and Heidi weren’t resting, they were getting ready for a relaunch and have now hit their stride at Oleada; Currie’s newest restaurant. Having Max and Heidi back is like going for dinner with old friends. The menu features some familiar favourites such as roast duck alongside some new dishes like the locally caught fish served in a sauce of tomato and chorizo. Both dishes were extremely popular in this intimate venue but with limited seating Max and Heidi would like to encourage their guests to book in advance by calling Heidi on 0434 380 032.